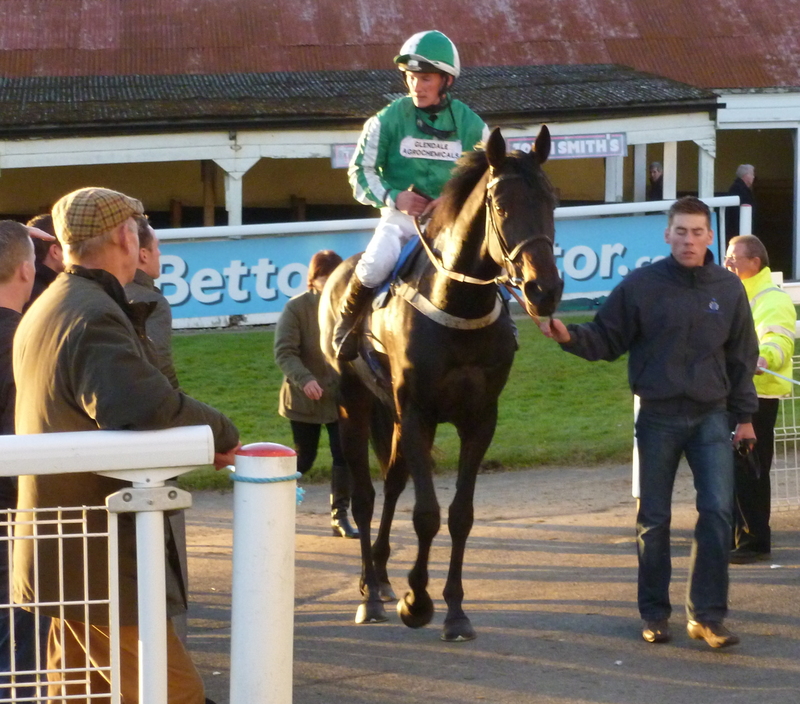 A good day at the office yesterday when Just Cameron won the National Hunt Flat Race at Newcastle Racecourse. He has shown promise in his first two runs and I was delighted for his owners Paul & Jean Chapman he was able to get his head in front. He will stay further and should hopefully have a bright future. A busy day today at Wetherby Races with Everaard, Morgan Be and Oscar O’scar taking their chances. Everaard is making a re-appearance following a solid run at his beloved Musselburgh I am hoping that they do not get too much rain as he ideally likes the good ground. Morgan Be takes his chance in the 3 Mile Handicap Chase a yard favorite he owes none of us anything he has run well fresh and seems well at home and I am hoping he can recapture his form from the early part of last season. Finally Oscar O’scar takes his chance in the 2 Mile 4 Furlongs Novice Hurdle a lovely individual purchased by his owner Randall Orchard and Niall Hannity he made a very pleasing debut over hurdles at Haydock Raceourse and we are hoping he can build on this further. Victor Lynch returned with great promise last weekend when making his hurdles debut following a long period on the sidelines. He jumped and traveled very well and still held the lead between the last two hurdles only to tire on the run in. This was a very encouraging display in a race which I believe will end up been above average and in time he will eventually need further. Stopped Out failed to sparkle on the day and he had seemed in good form at home. He as returned in good heart and is still enjoying his work so we will try to sweeten him up and find another suitable race. The following day Kettlewell made his debut at Carlisle in a National Hunt Flat Race under our conditional jockey Scott. He behaved extremely well in the preliminaries and took everything in his stride. He had a nice introduction and finished 3rd behind a useful looking type of Donald McCain’s. 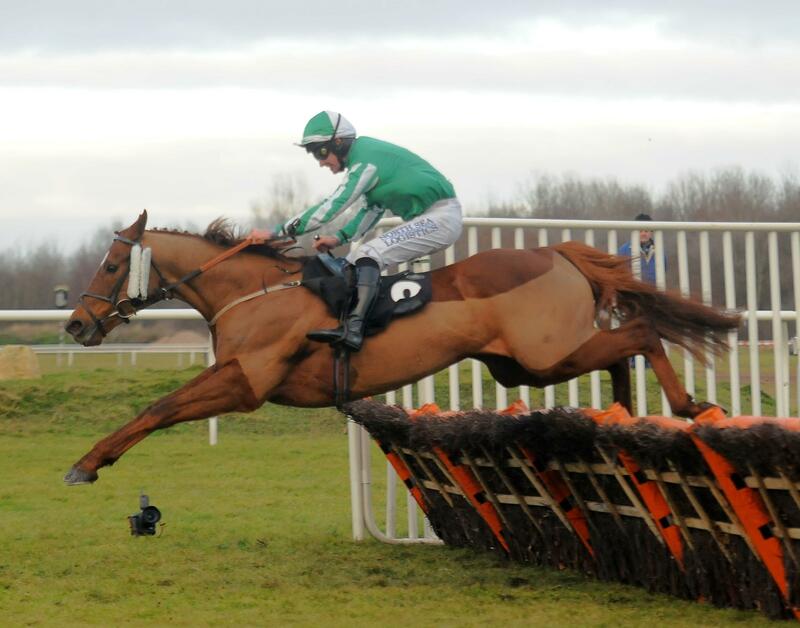 Everaard traveled to his beloved Musselburgh during the week and contested the 3 Mile Handicap Hurdle. Successful at the track three times last year he seems to run his best races at the venue as they say “Horses for Courses.” He ran another solid race but is still probably suffering from his success last season and is still slightly in the grips of the handicapper. We will continue to search for races for him especially at this track. A lovely weekend in Middleham with a number of the horses engaging in an extended exercise to the high moor including some of the babies such as Kalanisi and Howard. It is a great exercise for them and also helps with their education both should be seen in National Hunt Flat Races in the near future. Inch Manor traveled to Wetherby today and contested the 2 Mile 4 Furlongs Novice Hurdle. He jumped well throughout the race apart from making one mistake which took him time to recover from. We were happy with his run on the whole and at only four can only improve with time. 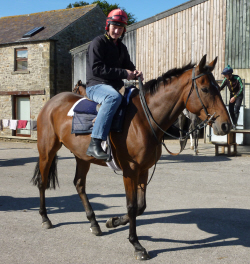 Tomorrow Victor Lynch and Stopped Out travel to Wetherby on Charlie Hall Chase Day. Victor Lynch is returning to the track after a long lay off he showed promise in both of his National Hunt Flat Races and has schooled well at home. I am hoping he will run well tomorrow and it will start as a good basis for the rest of the season. Stopped Out seems to have come on for his seasonal debut and needed his first race more than what we had thought and will hopefully run a good race. Rumble of Thunder ran at Aintree on Saturday in the race which he won last year. He failed to really sparkle and did not jump with usual fluency as this is usually his strong point. I intend to take him to a local xc course and showjumping to build his confidence back with his jumping and give him something else to think about. Oscar O’scar makes his seasonal debut today at Haydock in the 2 Mile Novice Hurdle Race. 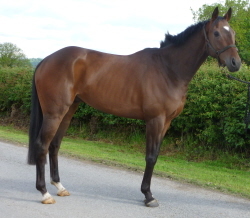 He ran in one National Hunt Flat Race last year where he finished fourth and gained some good expereince. 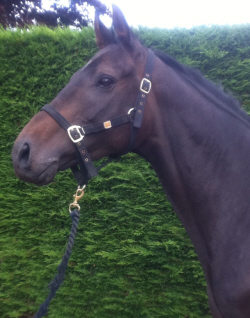 He has schooled well and is a lovely horse as you can see from the picture. I am hoping he will run well and it will be a good start for the rest of the season. A good day really at Carlisle with a couple of pleasing efforts. Taxi Des Obeaux ran with promise again to finish fourth in what I believe was a fairly useful National Hunt Flat Race. He will be a staying hurdler/chaser in time and what he is achieving in his bumpers can only be a bonus and help to educate him for his future over the obstacles. Pen Gwen jumped for fun and gave our conditional Scott a great ride he was still in with a chance at the last only to tire in the final furlong. 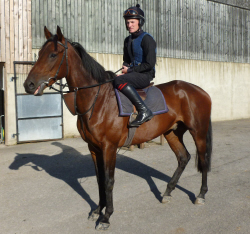 We travel to Newcastle tomorrow with Everaard who runs in the 3 Mile Handicap Hurdle. He seems well at home hopefully the rain will stay away as he likes the quicker ground. Hopefully he can revert the form he shows around Musselburgh to Newcastle. Taxi Des Obeaux confirmed the promise he had shown at Wetherby on his debut by running another solid race on his return following his break at Hexham. He traveled well and galloped all the way to the line to finish third. He looks as though he will be a true stayer and everything he achieves in his National Hunt Flat Races will be a bonus as he should improve for obstacles and distance. A couple of days later we traveled to Wetherby with Inch Manor, Rumble of Thunder and Stopped Out. Inch Manor was making his debut for the yard following his purchase out of the Irish Point to Point field and we were pleased with his effort. He was slightly put off a couple of hurdles by a few erratic jumpers in front of him but on the whole jumped and traveled well. He will progress for the run and should better ground will also help. Stopped Out was making his seasonal debut aswell and ran well until turning for home he needed the race more than we thought and will come on for the run. Plenty of entries over the forthcoming days at Carlisle, Aintree and Newcastle…….